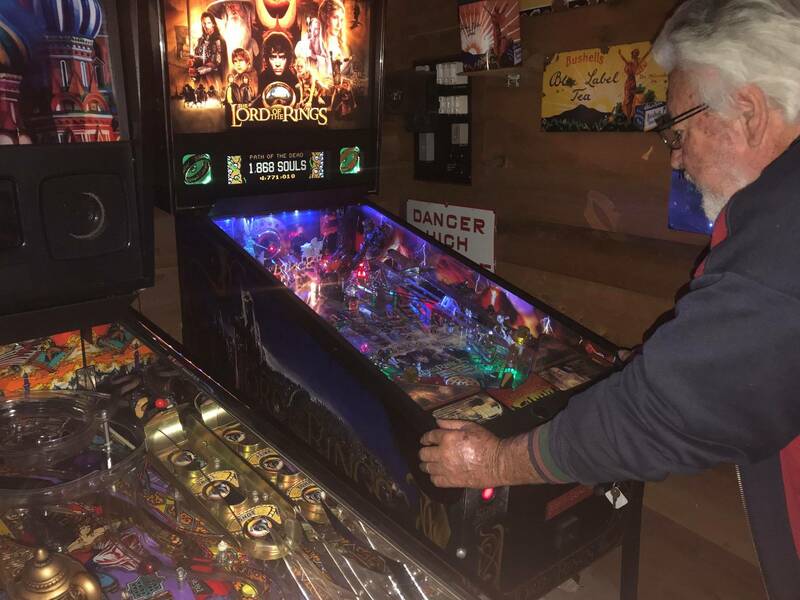 Holy moly.... Makes me want to buy a LOTR ! I'd love to learn more about how these are actually made. I'm guessing it's just some real thin LEDs and different parts of the art screened out to let the light through but maybe it's M A G I C ! Very cool, wonder how thick they are. very cool looking. But it is the illumination definitely from behind it? Those illumination sheets and strips are thin. But not very thin. 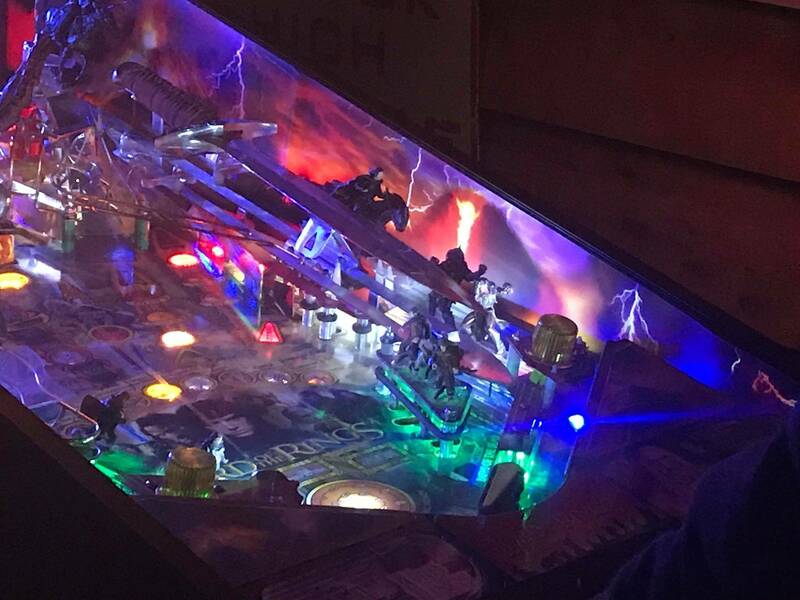 I'm wondering if certain lighting bolts can be painted with paint reactive to certain colors of LEDs. They come rolled up in a box. They are about as thick as mirror blades, I would say. Way easier to install than regular pinblades, as they are rigid and hold their own shape, you're just tacking them on there with adhesive. Can't wait to see what they do with Hobbit! I'm guessing it's just some real thin LEDs and different parts of the art screened out to let the light through but maybe it's M A G I C ! It's a thin film print with masking, over the top of EL paper with the control box firing up specific sections...hell, the control box is honestly the most "complicated" part of the whole thing to me. Love the VU meter one I have in metallica, but it was super tight in my game and unfortunately any time I move the PF it's at extreme risk of getting damaged. Just wasn't very much clearance on my specific game. The one I got wasn't rigid at all...it had adhesive all around the outside and just stuck on...but it was pretty floppy... dunno how you can say that something that came rolled up is 'rigid'... I guess compared to regular pinblades which are what... just vinyl decals? I've never had any other ones.. Mirror blades are *rigid*.. I let mine lay flat for a day after I took em out of the box. Didn't seem necessary, but I did. Then, they were flat and what I would consider rigid, in that they stayed flat against the sides of the cab on their own, kinda like a thick sheet of plastic. There is no way they are thicker than a mirror blade as far as playfield clearance and being afraid to raise a playfield. And I've never had mirror blade in my Met....or said that powerblades were thicker. But I suppose you know better than I do, after all...you've never seen -my- game, how could *I* possibly know if it had clearance or not, with it being in my living room and all? You're a little fraxy tonight. Have a snickers. Only my wife calls me that. I installed a set of the Power Blades on my Metallica. The VU Meter design. Install was pretty easy. Awesome video...That should put anyone's mind at ease...They look.... What word would I choose?.... Rigid ! I am hoping they eventually do a set of these for MB (until then, I will "settle" (by which I mean 'be totally ecstatic about') the sillyoldelf blades) ... Assuming Frax's engineering and BOM analysis is correct, does anybody know what the fade half-life is for this so-called EL-paper? I have other EL-wire solutions which have basically faded to nothing. Is this a possibility for these blades? So these things are what? $300 or something? Cool looking but they don't fit this theme imo. Thanks all for the feeback! And great questions.. The PowerBladez have of a lifetime of +100,000 light hours. They stay very vibrant and do not fade. These are not your usual EL paper where the circuit is sandwiched in between two pieces of Phosphorus paper. The circuit matrix acts is more complex. "a seat of rigid orange plastic"
"Flexible" is what you're looking for. Only after a few beers and if you're buying. What would be the delivery costs to Germany? Are the blades removable without major problems, seems to be? Do they fit technically into a LOTR LE? Can I return them to you in case they are too thick for my machine? 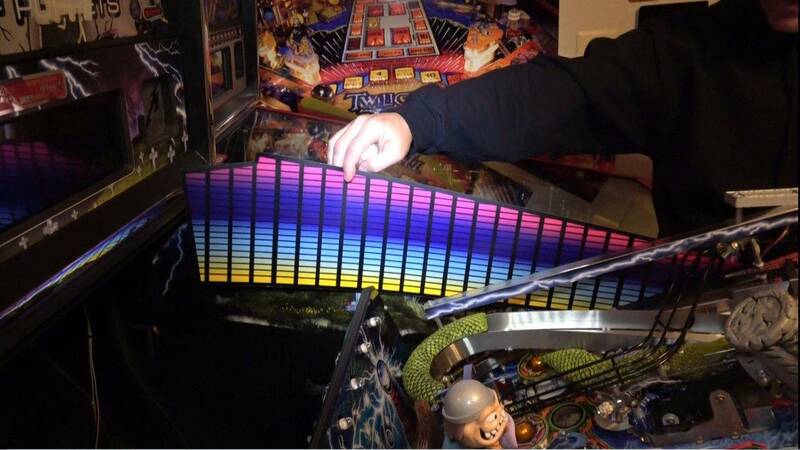 In order to fit these properly..you have should have an 1/8 of an inch clearance on each side of the playfield. and BTW check out our new AC/DC PowerBladez as well..
After seeing SDTM's video I ordered a set for my LOTR! I got them 2 days ago, can't wait to install them. But, they will have to wait till after Expo! Could you please provide us with a feedback after you have installed it. I am interested too, but have two concerns: the first regarding the blue coloring of the bladez, which seems not to fit to the more red playfield color of the game and second the question, whether you see the bladez at all from the player position. The YouTube video shows the bladez from a side perspective which migzt be totally different from the player's perspective. Different game, but this is player's perspective. Thank you. Looks very nice. Congrats. They work great on my Addams. I installed the metallica creeping death bladz and there awesome on Addams. The player view gives plenty of viewing space, even with a smoke ramp. Will pingraffix do another run of lotr PB in the future? I agree I need em too, after seeing that vid. We have more coming! We honestly can't keep these guys in stock so they are coming in waves. If anyone is going To Texas Pinball show we will have a few sets available on site. If you would like to get on a list..get in touch with PInUpGirl1975 or gina@pingraffix.com. We are expecting them in within two weeks. 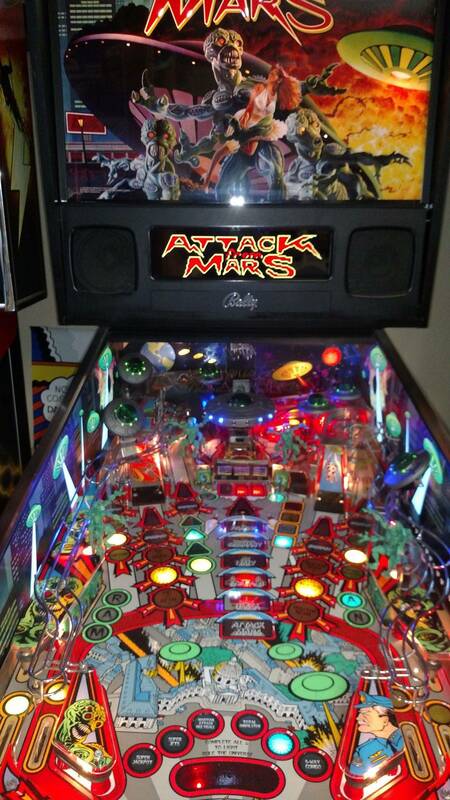 That Attack from Mars package looks AWESOME! 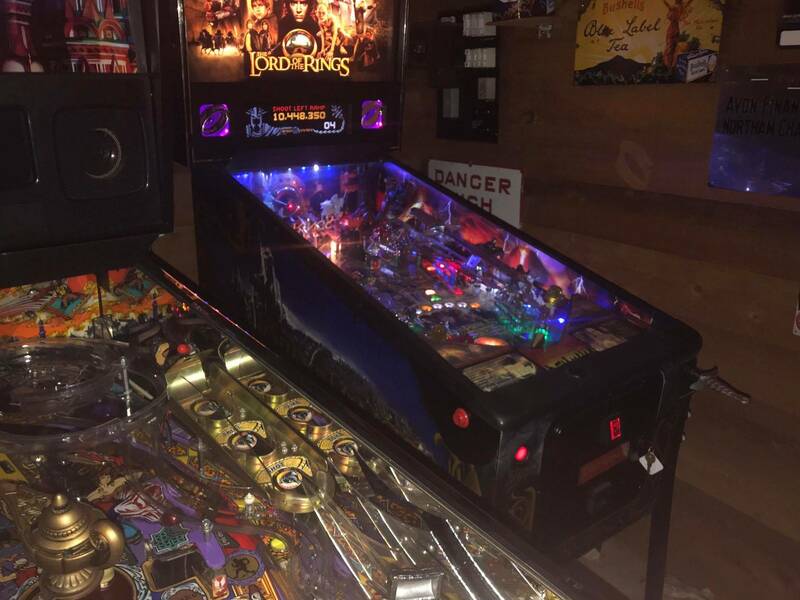 See you at Texas Pinball Festival! Wonder if there ever going to make a Hobbit?? Awesome customer service and brilliant product thanks Joe and team at pingraffix.